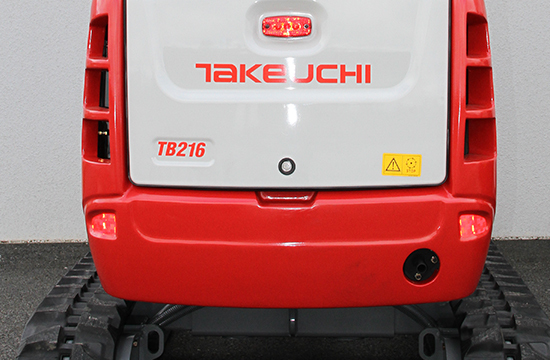 Model TB216 er en 1,8 ton maskine, designet med komfort for i tankerne. 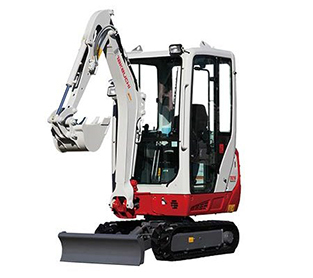 Med TB216 har Takeuchi fremstillet en moderne fuld hydraulisk minigravemaskine. 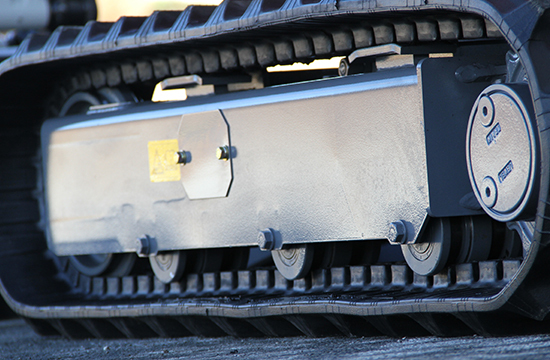 Stor komfort og fuld visuel overblik til maskinføreren. 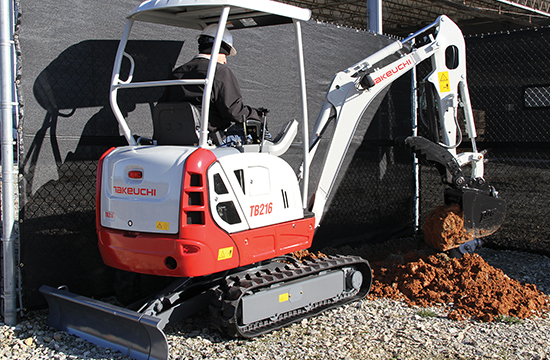 Compact and Convenient – The TB216 delivers excellent size and balance for restricted job sites. 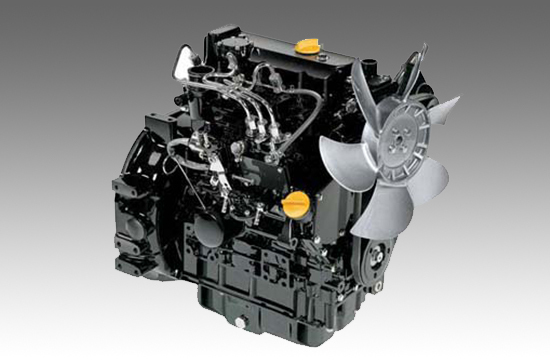 Engines that meet latest emissions standards – are efficient and powerful and does not require any exhaust aftertreatment systems. 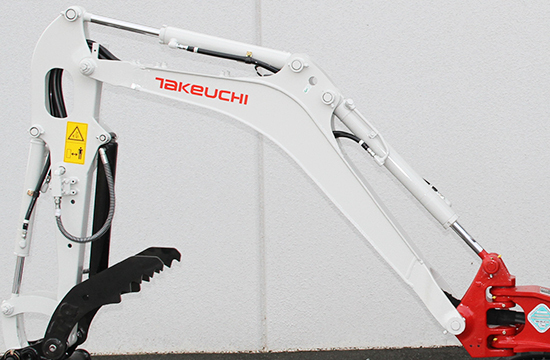 Excellent Reach – the optimized boom and arm design delivers excellent reach for greater productivity. 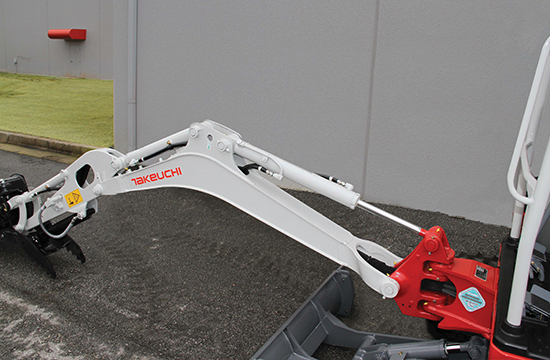 Retractable Undercarriage – allows this machine to travel through standard doorways and areas with limited access with ease. 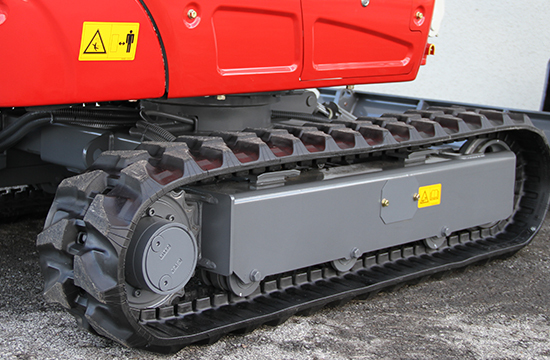 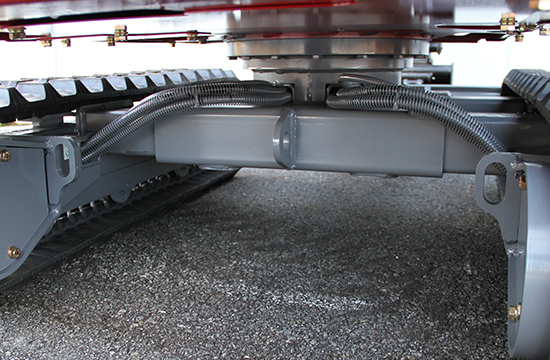 Improved Drive System – Provides 15% more tractive force that the previous machine and now features automatic downshift for better turning, traveling and backfilling. 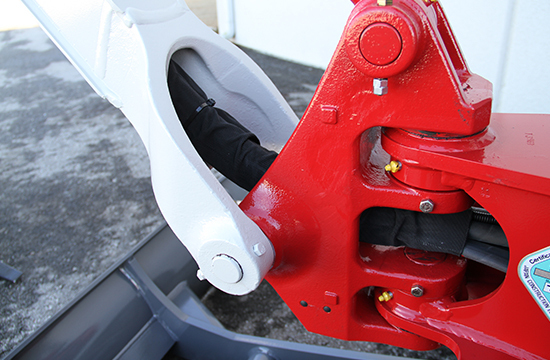 Top Mount Boom Cylinder – helps protect the boom cylinder from damage from the bucket and debris. 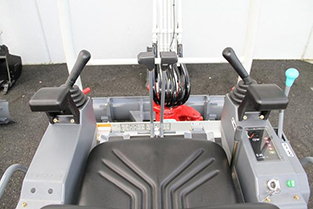 Protected Hydraulic Plumbing – all hoses for working equipment are routed through the boom and arm for an extra level of protection, and greater visibility of the work equipment.